QuiqFlix Stream Movies, TV Shows & Anime in HQ on Android: Terrarium went down and a thousand new applications rose from the ashes to take its place. QuiqFlix V1.0 is the latest to join the battle for supremacy. With the option to stream movies, TV Shows, as well as Anime in high-quality, the user base of QuiqFlix is increasing each day. With the support for Android 5.0+ devices, the application works like a charm on all Android smartphone/tablets. However, it works exceptionally well on high-end smartphones like Note 8, S9, Pixel 3 etc which is one of the primary reasons for the rising popularity of the application. You will be happy to know that there are no ads in the application. Therefore, you don’t have to worry about those pesky ads coming up in the middle when you are watching your favorite movie, ruining the entire experience. In this post, you will read the features and the steps to download and install QuiqFlix V 1.0 on Android smartphone/tablets. Also, Check Out: Titanium TV App – Download Titanium TV APK (Terrarium TV Clone). QuiqFlix APK: Latest Movies, TV Series, & Anime Content on Android – Features: The performance of QuiqFlix is marvelous. Even though it comes in an exceptionally low size of 10 MB, it delivers a rocking performance. Following are some of the major features of QuiqFlix V 1.0. Chromecast support is not present as of now. However, the developer promises to add the same in the later updates on the application. Till then you can utilize the popular casting application from Play Store. You can download your favorite content to the local storage and watch the same offline without burning your data. As mentioned above, there are no ads in the application. Hence, you get a great experience watching your favorite movie or TV series on QuiqFlix V 1.0. It supports popular Anime content as well apart from movies and TV Series. The application supports subtitles as well. While most of the relative applications out there support subtitles, the facility is pretty awful. However, with QuiqFlix, you get exceptionally well subtitles support. Now, let us move towards the steps to download and install QuiqFlix V 1.0 on Android smartphone/tablets. You can download QuiqFlix APK from Aptoide or download the APK file directly from “ QuiqFlix APK Download“. 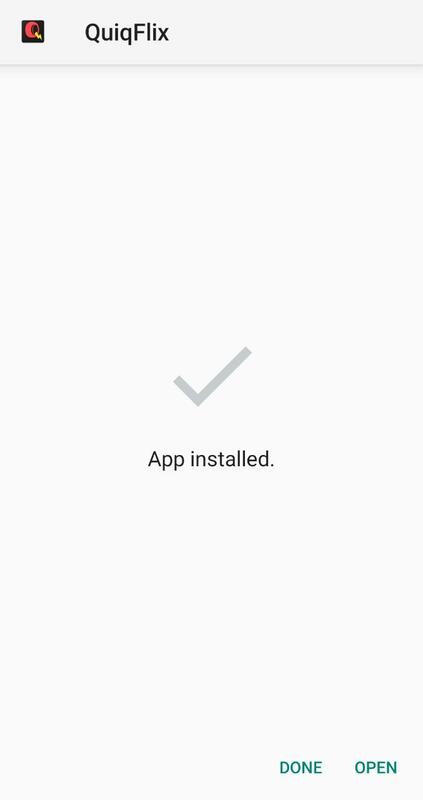 Once the APK file downloads, please navigate to the download location and tap on the APK file to initiate the installation process. Press ‘Install’ on the screen that comes up. It won’t take long for the installation process to finish. Thereafter, press on ‘Finish’ to exit the installation screen. Go ahead and launch the application from your device’s home screen. CyberFlix TV APK Download on Android, iOS(iPhone/iPad) & PC. BeeTV | Download BeeTV APK APP on Android, FireStick & Android TV Box. These were the simple steps to get QuiqFlix up and running on your Android device. 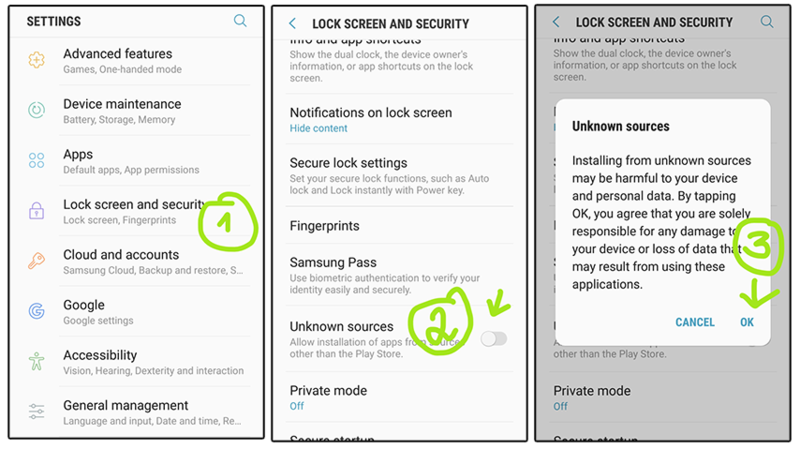 In case you face any kind of issue during the installation or usage of the application, please let us know about the same in the comments section provided below.